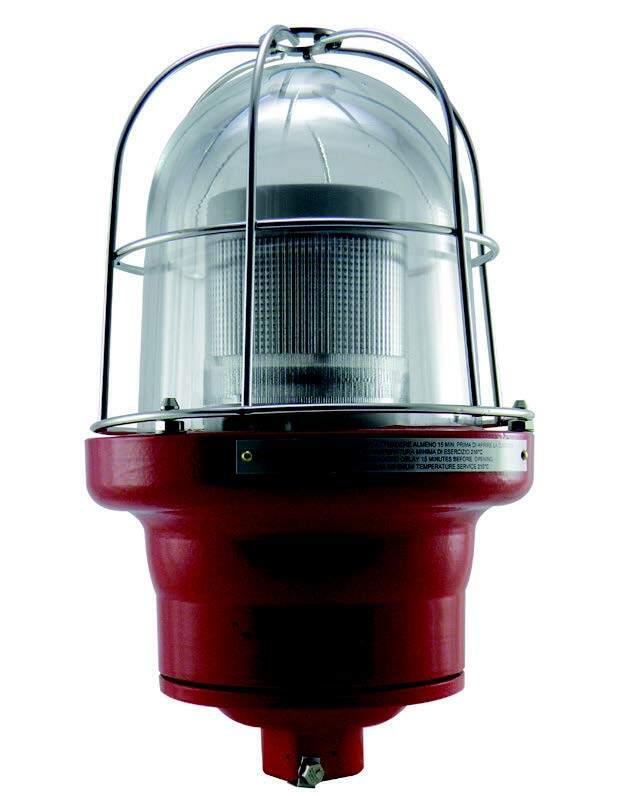 Springer Controls explosion proof beacon light is available in quadcolor and tricolor versions to provide maximum signaling capability in a single lamp. When 2 or more alarm conditions are present, the color lights up alternatively to display both alarms. A jumper can be used to switch between flashing and steady on operation. ATEX rated for zones 1, 2, 21, and 22 and an IP 65 rating make it suitable for the most challenging environments. Two different housing options are available with 3/4″ NPT conduit entries either from the bottom or the sides of the base. 24V AC/DC input power required. Please note: The stainless steel guard over the glass dome is optional and must be selected separately. These units are not rated for installation in underground mines.